Our newsletter Simple Toddler Fun goes out each month and shares some easy activities that you can do with your toddler. I am always on the hunt for toddler activities that can be pulled together quickly. Recently I was looking through pictures from last summer and remembered the cork Name Bugs we shared over at Melissa and Doug's Camp Sunny Patch. I remembered that I still had a bunch of corks in my craft cupboard, so I got them out for a quick and simple color match and sort activity with my toddler. I needed something that was fast to put together and would keep her hands busy while I fed the baby and finished making dinner. This activity was a hit... and so easy! The biggest reason this was a hit was because corks were new to her... so they were extra awesome to explore. Checking out a new tool can be a totally different sensory experience and is great for encouraging language/conversation. 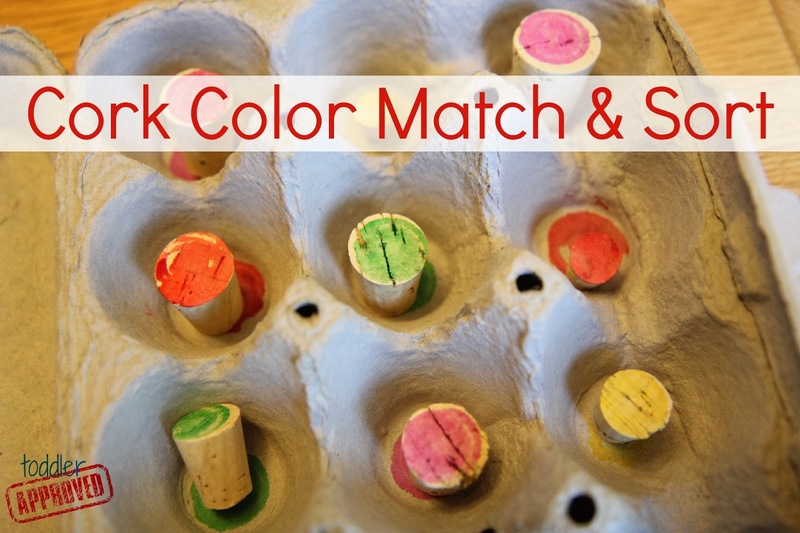 Using the dot markers I stamped the end of each cork and each egg carton spot with a variety of colors. It took me a minute or two to get everything marked and then we were ready to play! I tried to make sure that each cork had a corresponding color spot in the egg carton. Then I just tossed the colored corks in the lid of the egg carton and encouraged my toddler to match the colors! We talked and talked while we matched. We discussed color names, the concepts of big/little, and directionality (up/down/inside/on top). Sometimes I sat next to her while she worked and some times I just chatted with her from across the kitchen. 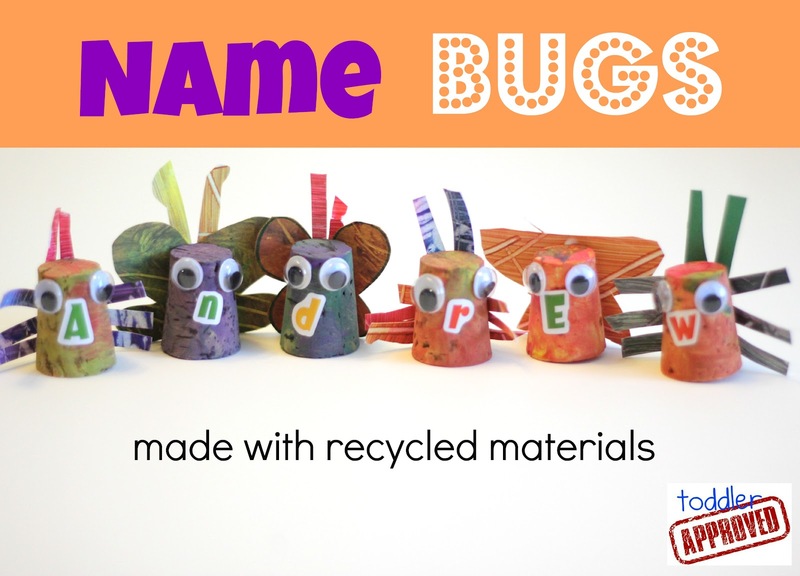 After you match and sort with corks, try making cork bug creations or name bugs... or both! Are you looking for a creative way to spend your summer? Sign up for the Virtual Book Club Summer Camp! Very cute! Quick and simple are my two favorite things. This looks like a craft that I could manage. Thanks for posting!